This elegant yet simplified prosciutto appetizer is from our Specialist Chef Luke Palladino, who says “Prosciutto di Parma is the most essential ingredient known to a chef besides the egg.” This unique take on a classic prosciutto and cheese board makes the Prosciutto di Parma shine, while offering a nice mix of rich flavors to back it up, with the burrata and caviar. 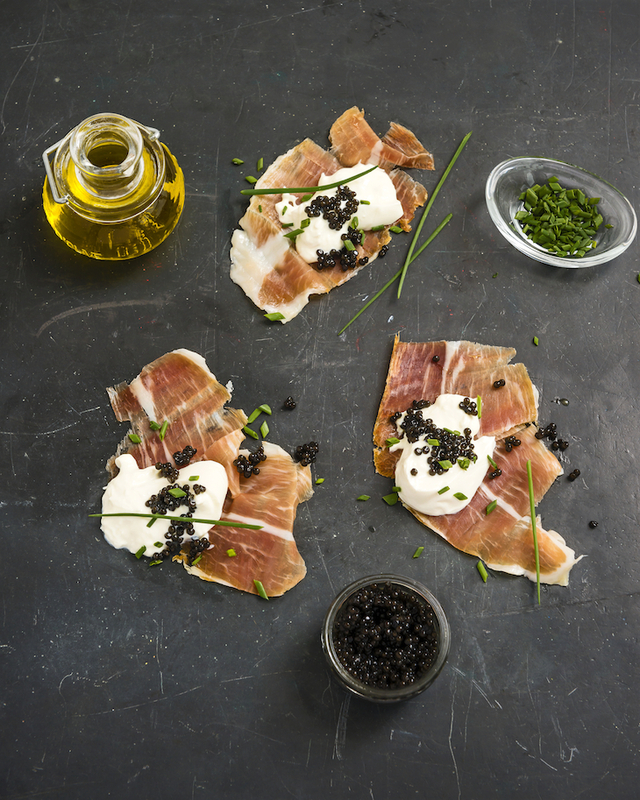 The simple beauty and sophistication of this prosciutto appetizer will leave you wanting more. Learn more on creating your own unique charcuterie board here. Place sliced prosciutto on plates. Quarter the burrata into wedges, place a piece on each prosciutto slice. Top with caviar, oil, shaved truffle, and chives. Fold into a roll and enjoy!